National PTA School of Excellence Webinar – Wednesday September 21st 2 p.m.
Be on the Path to Excellence! Join the webinar this Wed., Sept. 21 and get all the info you need to be considered again for the School of Excellence Award. If you are a PTA leader interested in the School of Excellence program or helping to recruit PTAs to become a School of Excellence, this webinar is for you. We’ll share the ways to get started on the path to excellence and break down the Family-School Partnership Scan. We’ll also dive deeper into the National Standards for Family-School Partnerships and share all of the tools available to support your efforts—from enrollment to excellence. Our special guest panelists are Kris Garst and Lauren Van Hemert, two of the Phoebe Apperson Hearst Award Winners—the highest honor bestowed by National PTA. They will be discussing their School of Excellence journeys. Do you want to be a better leader? Want to learn more about PTA? National PTA e-learning courses can help! 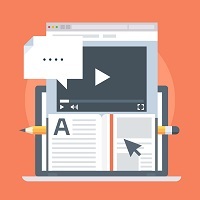 National PTA Micro-Courses take a specific subject from longer e-learning courses and cover it in just 10-15 minutes, so learners can get the information they need in a manageable amount of time. Check out the full library of PTA e-learning courses at PTA.org/E-Learning. Do you have a question about National PTA’s e-learning courses? 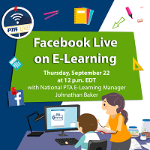 Join us on Facebookon Thurs., Sept. 22 at 12 p.m. EST for a PTA Live session. We’ll share more information on how to sign up for an e-learning course and how they can help you and other volunteers in your local unit PTA! Make sure to be on the lookout for more updates in the future via social media! Is your son or daughter an athlete? Is your son or daughter an athlete? Are they wanting to play sports in college or maybe they already are? Here are some great tips! High School is a lot different compared to elementary and middle school. For parents it’s a whole new ball game – driving, dating, parties, ACT, SAT, college, etc, etc.